We proudly serve hand scooped Belfonte and Central Dairy ice cream, Roasterie brand coffee, and delicious homemade cinnamon rolls and brownies. Additionally, we have acquired local lunching spot, Chip and Charlie's Deli Samiches...and are now offering their same high quality sandwiches. Life on the Big Muddy has never been sweeter! Lexington Mayor Jerry Brown doing his part during the annual Shop Small Saturday campaign. We strive to support our community - and are honored to be a part of historic downtown Lexington. As such, we work hard to ensure customer dollars are circulated and reinvested right here in Lexington. 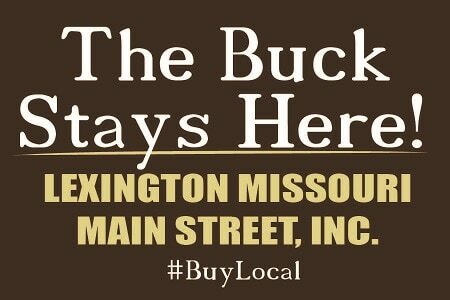 From banking locally to purchasing products from local merchants - we buy local and support local. big muddy on the big screen! 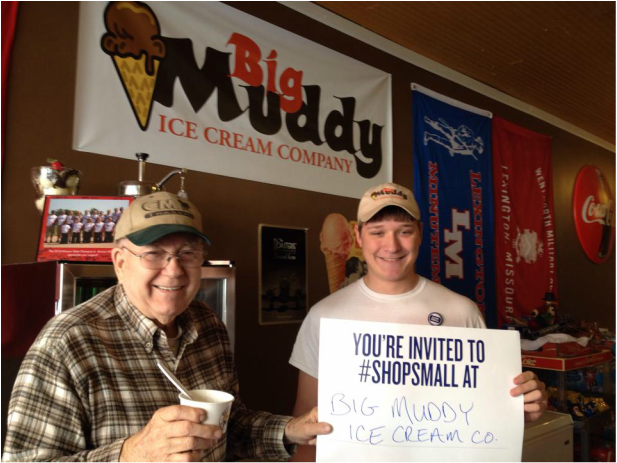 Be sure to check out Big Muddy Ice Cream Company's segment on KMOS Presents Missouri Life: Lexington.